In our annual materials review, Mike Boswell looks back at 2018 and reviews how a year that saw BREXIT-related turbulence, escalation of the US/China trade war and shortages of key materials affected overall production, supply and pricing, as well as outlining what the industry can expect in 2019. From a raw materials supply perspective, 2018 was quite mixed across the main product segments. The engineering polymers sector witnessed significant volatility as prices increased throughout the first three quarters of the year, which was a continuation of the trend which started at the beginning of 2017. Towards the end of 2018, the price trend of engineering polymers started to diversify, with Nylon 6.6 continuing on an upward trajectory as supply remained extremely tight. In marked contrast, polycarbonate prices – following their sharp ascent – began an equally sharp decline and, after September, other engineering polymers tended towards price stability. In the case of styrenic polymers, there was a close correlation with styrene monomer, and, for polystyrene, the month-on-month price movements were typically quite violent in nature, with swings of £50 - £100 per tonne being quite a common occurrence at certain points in the year. The addition of ABS capacity in Asia in the latter part of 2018 started to see a more competitive situation, with sellers looking more to Europe as demand from China remained relatively weak. The table and graph below confirm that price volatility in the Polyolefins sector was relatively low, with prices at a very similar level to the prior year. There is clear evidence that in 2018 feedstock costs underpinned polyolefin prices, which suggests that, in general terms, polymer supply was well balanced with demand. The crossover in the ‘polyethylene basket’ versus the ‘PP basket’ is a noteworthy event, which is attributable to the relative scarcity of C3 versus C2 resulting from the increased use of ethane (shale gas) as a feedstock for polyethylene rather than naphtha, which results in both the production of C2 and C3 from which polypropylene is made. This tightness in C3 availability became a matter of increasing concern with polypropylene producers, as it became more evident that C3 would become increasingly scarce. This phenomenon increasingly raises concern for volume and/or commodity grade polypropylene converters, as polypropylene producers look to optimise netbacks by producing higher margin grades. The polyethylene market was quite polarised in 2018 and the abundance of LDPE lead to relative price weakness, whereas LLDPE and some HDPE grades tended to be in tighter supply, which was both a function of relatively low pricing in the UK failing to attract imports and less product arriving from the USA than had previously been anticipated. It was a true rollercoaster ride for oil prices in 2018, which, after a dip in Q1 2018, saw improvement in Q2 and then peaked in October. The subsequent fall in prices has been dramatic, with all gains wiped out as the markets remain concerned about supply and demand due to global economic risks including a global economic slow-down and/or an escalation of the US/China trade war. Feedstock costs closely tracked Brent Crude costs throughout 2018, although the volatility of styrene monomer costs is very evident. The premium for C3 Spot over C3 contract is further evidence of the escalating tightness in the C3 market. Following the significant devaluation of the GBP in mid-2016 following the BREXIT referendum outcome, the exchange rate versus the Euro held within a narrow range of 0.05€, which, in turn, supported the stability of polymers where pricing is € denominated including PE, PP and PS. The situation versus the dollar was quite different, with the USD gaining strength on the back of a strong US economy. BREXIT concerns became more acute as the year progressed, with the March 30th2019 deadline rapidly approaching. The possibility of a ‘no deal BREXIT’, which is expected to have greater negative consequences for the UK economy than the terms proposed by the EU for withdrawal and a future trading relationship, is putting further downward pressure on the value of the GBP. Whilst the UK economy continued to grow in 2018, the rate of growth slowed to the extent that UK has slipped from being one of the fastest growing economies in the G7 to becoming one of the slowest, with many economists blaming this reduction in performance on the uncertainties arising from BREXIT. Whilst employment levels surpassed previous records, the retail sector faced some serious challenges and both automotive retail sales and automotive manufacturing stuttered on the back of consumer concerns regarding diesel engine cars. CPI Inflation fell back from 3.0 per cent at the end of 2017 to around 2.3 per cent at the end of 2018 and, on this basis, the decision of the Bank of England to increase base rates from 0.5 per cent to 0.75 per cent looks justified. There was further anecdotal evidence that both the devaluation of GBP following BREXIT and regulatory uncertainty has continued to reduce import penetration and this is increasing the amount of domestic manufacturing; given the relatively low CAPEX barrier to entry the plastics sector is in a good position to continue to benefit from this effect. Although, as capacity becomes fully utilised, the twin effects of economic uncertainty and the increased cost of imported plant and machinery growth may be restricted by the willingness to make long-term investments. From the perspective of polymer producers, 2018 mainly looks largely successful with strong margins and good levels of demand and, where margins have been depleted for some polyolefins, the situation improved in the later stages of the year. For those producers integrated upstream into oil refining and production, their plastics downstream activity continues to be a strong source of revenue and profit. It looks like the year ahead is going to be interesting and already it is possible to see some important trends emerging. On a global level, the cost of crude oil is likely to have a significant influence on polymer pricing; in Q4 2018 the fall in oil price supported the margins of the polymer producers, reversing a trend towards diminishing margins. However, some might be concerned that a recovery in oil price could stimulate a situation similar to that experienced in early 2015, although margins are now clearly much bigger, and material appears to be in plentiful supply. For the UK, the issue of BREXIT now looms very large, with the possibility of significant exchange rate volatility until such time as the issue is resolved; this will have significant impact on UK polymer pricing which is either USD- or Euro-denominated. There will, of course, be the usual smattering of unknowns/not anticipated effects and, for some, the increasingpossibility of a global economic slowdown looms large on the horizon. A continuing trend of negative feedstock price movements is likely to place pressure on polymer prices as converters seek to secure relative price reductions. The outlook for engineering polymers looks much more settled and it looks like PMMA is now also trending downwards, albeit in a less dramatic manner than PC. PBT and POM look quite stable. There is some prospect of a partial recovery in PC prices as producers trim output to match demand. The PA66 situation remains quite tight, although as is the case for all engineering polymers, the current downturn in the global automotive market is going to be a significant influence. It is not expected that engineering polymer pricing will have much consequence for the pricing of ultra-high-performance polymers, as these materials are typically independent of the supply/demand drivers and prices are more likely to broadly follow more general inflationary pressures. The styrenics polymers group, including polystyrene and ABS, is likely to remain volatile, with benzene and, consequently, styrene monomer prices being a driving force. Increased global ABS capacity is likely to make for lower pricing at least in the short-term. The most significant factor that will impact the polyolefins sector will be the increase in shale gas derived polymers from the USA. Although the economics of these plants don’t look quite as attractive as when oil was $140+ per barrel, the profit margins still look good and the fact is the capacity is coming on stream is causing the supply/demand balance to dominate price action, with more material appearing on the market during the course of 2019. At this stage, the expectation is that the initial impact of these new capacities will be quite modest in Europe, as most of the new plants are owned by producers who have existing sales infrastructure in the region and are therefore are unlikely to be disruptive. As outlined previously, C3 availability will be a serious issue for polypropylene supply and, with a number of naphtha cracker maintenance outages in H1 2019, this will make supplier even tighter and will inevitably create inflation pressure for PP prices. The graph below clearly depicts the strong historic correlation between oil, feedstock and standard polymers pricing. The year 2015 continues to look exceptional, with a ‘normal’ relationship restored since about October 2016. In addition to the expectations outlined above, there will of course be the ‘unexpected’ events to contend with. However, we hope to repeat the fairly reliable forecasts that have been provided in prior years and so enable you and your business to be better equipped to deal with the challenges of sourcing your polymer raw material requirements in the year ahead. If you have enjoyed this report then you can find out further information and more details from the LIVE webinar version taking place on February 5th, 2019. You can register for free here. 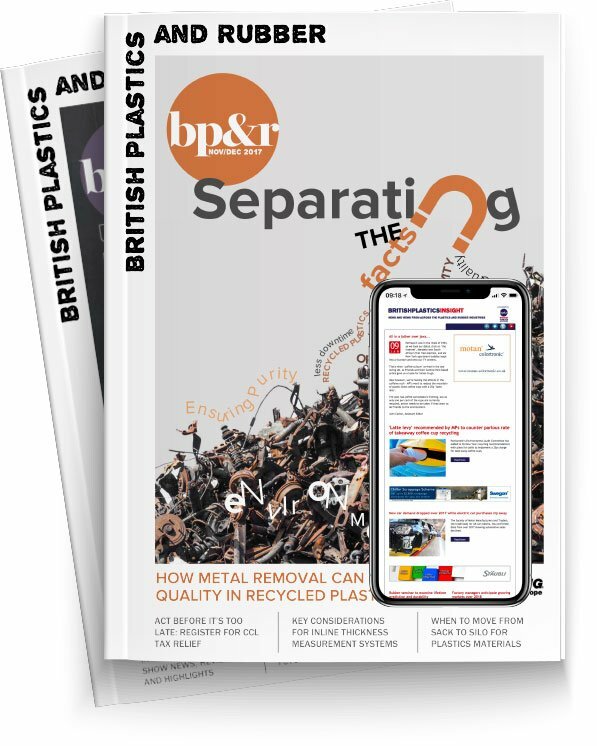 Mike Boswell is Managing Director of UK materials distributor, Plastribution, as well as the Chairman of the British Plastic Federation’s Polymer Compounders and Distributors Group and its ‘BREXIT Committee’. He has a broad knowledge of both materials and the issues affecting the wider industry, with over 20 years experience in the field. The information provided in this report are based upon data available from both external an internal sources, and whilst care is exercised in producing this report we give no guarantee of accuracy. Furthermore Plastribution and British Plastics and Rubber accepts no liability for purchasing decisions based upon the information provided, as the petrochemical market is complex and volatile.